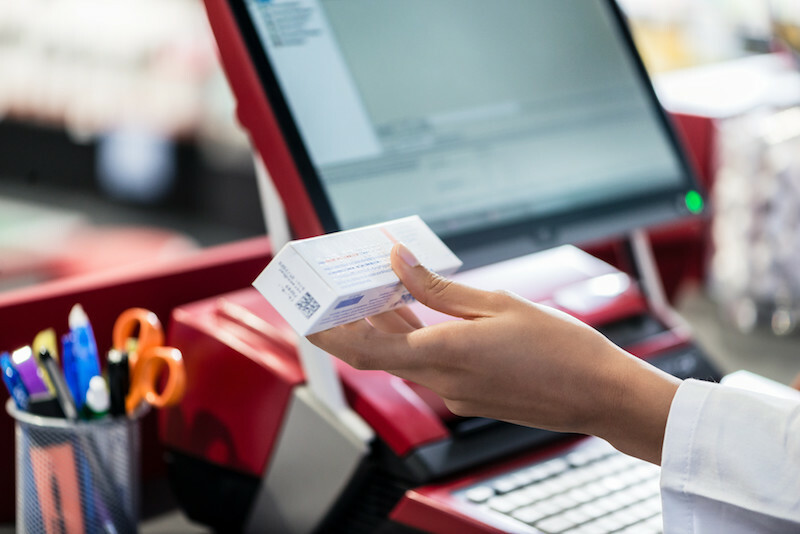 In a few days, starting on 9 February 2019, prescription pharmaceutical products within EU will have to carry the required safety features. The list of Q&As on safety features is continuously revised and supplemented. Two months after the release of Q&A version 11, the European Commission published in November 2018 the 12th version of Q&As on safety features for medicinal products for human use. This was soon superseded by version 13, released last week, modifying about ten other Q&As. Question 1.20 (Q&As version 12) refers to the possibility to lawfully open a pack bearing the safety features in order to allow parallel traders/manufacturers to replace the leaflet under the supervision of national competent authorities. “Can it be resealed (e.g. by applying a new ATD on top of the old, broken ATD)?”, is the proposed question. A positive answer strictly depends on the results of the assessment made by the national competent authority in the destination Member State, which is responsible to evaluate the equivalence of the new antitampering device (ATD), including description, explanation, mock-ups, pictures, etc. of both the original and replacement devices. Sufficient information to allow an informed assessment by the competent authority has to be provided by the parallel traders or manufacturers in order to support the entire procedure. The new answer from the European Commission specifies the parameters to be respected in order to prove equivalence of the ATD, i.e. “it is equally effective in enabling the verification of authenticity of the medicinal product and in providing evidence of tampering”. This request needs a particular attention to ensure three different characteristics are matched, starting with the need the new anti-tampering device completely covers any visible sign of the previous, broken one and completely seals the pack. Replacement of ATD has to be run in compliance with applicable good manufacturing practices for medicinal products and is subject to supervision by the competent authorities. The substitution of the broken ATD with a new one can occur only after the manufacturer/parallel trader “has verified the authenticity of the unique identifier and the integrity of the ATD on the original pack before breaking the ATD/opening the original pack, in accordance with Article 47a(1)(a) of Directive 2001/83/EC”. Question 2.21 (Q&A version 12) face the issue of the acceptability of stickers to place the unique identifier on the outer/ immediate packaging. In this case, the answer is positive just in a set of well defined circumstances, as normally the unique identifier should be printed on the packaging along with all other information required under article 54 of Directive 2001/83/EC (see Art. 5(3) of Commission Delegated Regulation (EU) 2016/161). Stickers can thus be used when there is no other legal and/or technically feasible alternative (e.g. safeguard of trademark rights; glass/plastic immediate packaging without outer packaging; etc. ), or the procedure is authorised by competent national authorities due to the marketing authorisation, including for parallel import, or to safeguard public health and ensure continued supply. In this last instance, a set of specific conditions have to be respected in any case, first of all the fact that the sticker on which the unique identifier is printed should become one with the outer packaging/immediate packaging. This requirement implies that the sticker should be itself tamper-evident, in order to avoid any danger of its removal without damaging the packaging or the sticker itself or leaving visible signs. GMP-compliant procedures apply also to the application of stickers, that can be placed on the outer/ immediate packaging at the place of the unique identifier as well as “all applicable labelling requirements as laid down in Article 54 of Directive 2001/83/EC”. The consequence of this request is that stickers are not allowed if they impair readability, as according to article 56 of Directive 2001/83/EC “the particulars referred to in article 54, 55 and 62 shall be easily legible, clearly comprehensible and indelible”. Stickers carrying the new unique identifier must not be removable without damaging the packaging or the sticker itself, or leaving visible signs. Stickers are not allowed also in the case they are intended to be placed on top of an existing sticker, as this could facilitate confusion and suspicions of tampering. Answer 1.24 states that the batch number of the active substance only needs to be encoded in the medicines verification system, in cases when a medicinal product carries more than one batch number, typically when the product consists of an active component and a solvent. Q&A 1.25 relates to the decommissioning of the unique identifier in cases when repackaging or re-labelling a pack for the purpose of using it as authorised investigational medicinal product or authorised auxiliary medicinal product (art.16(2) of Commission Delegated Regulation (EU) 2016/161). The answer clarifies that until there is a specific status for these medicines in the EMVS system, the pack should be decommissioned as “SUPPLIED”. According to answer 1.26, medicines produced exclusively for the Greek or Italian market, regardless of their place of manufacture, are not required to bear safety features before the entry into application of the new rules in Greece or Italy. Greece and Italy have decided to defer the entry into application of the safety features (art. 2(2)(b) of Directive 2011/62/EU). On the other hand, states answer 1.27, there are no geographic restrictions on the placing of safety features by manufacturers. Thus, during the transitional period manufacturers located in Greece or Italy can place unique identifiers on medicines intended for the rest of the EU/EEA. The is no obligation for direct suppliers to healthcare institutions to offer aggregation services, as the Delegated Regulation does not require hospital suppliers to provide aggregation services. According to Q&A 1.28, this sort of provision may be activated by suppliers on a voluntary basis, according to the guidance contained in the Expert Group paper on implementation of the Falsified Medicines Directive in the hospital. Human-readable headers (PC, SN, Lot, EXP, NN) should preferably comply with the provisions of the QRD-template, says answer 2.22. The specifications are provided by version 10 of the QRD-template for the product code, serial number and national reimbursement number, while batch number and expiry date should follow the abbreviations provided in Appendix IV of the QRD-template. Question 3.6 afford the issue of medicinal products released for sale before 9 February 2019 and carrying just one of the safety features (either the UI or ATD). These products can remain on the market until its expiry date, if not repackaged or re-labelled may remain on the market. In any case, manufacturers are responsible for ensuring unique identifiers are readable and complete (Q&A 4.5). They have to check contents and readability of the 2D barcode, according to art. 14 of C.D.R. (EU) 2016/161. Manufactures and MAHs should also collaborate to ensure the uploading of all relevant information to the repository system before the release of medicines for sale or distribution (art. 33(2) of C.D.R. (EU) 2016/161). MAHs have also to upload the unique identifiers for products with 2D barcodes released for sale or distribution before 9 February 2019, says Question 8.9. Uploading of the barcode should occur before the entry into application of the new rules in order to avoid alerts for genuine products released before 9 February due to lack of data in the repository. Question 5.7 has been revised and it now states that wholesale distribution of medicinal products with a damaged/unreadable 2D Data Matrix code is allowed, if the verification of the authenticity of the unique identifier (UI) can be only performed using the human readable code. If this is not possible, the wholesaler should not further distribute the product.